Very friendly and helpful. Everything that you needed was at the apartment. Close to everything. I like the host and the location as it was central to what I needed. I would stay here again. Marcol place had everything we needed for a holiday. Owners were friendly and very welcoming. Will definitely recommend to friends. Col, he's was so friendly and very helpful. He let me leave some of my bags before arrival. He showed me the apartment and let me choice which one I could stay in. Being heavily pregnant I couldn't want for anything. He washed out linen and ensure I was okay throughout the stay. Great location. Really quite spot. Love the out door bit with the BBQ and seating. The apartment itself was very clean and tidy. He a really great host. And so happy I picked this place to stay. Our host went above and beyond to ensure our stay was enjoyable and relaxing. 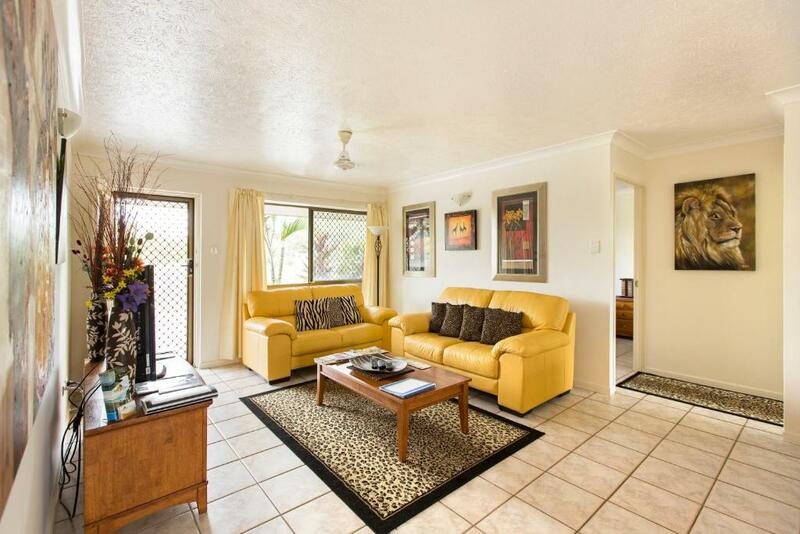 The apartment was spotless, well appointed and great décor, the garden and surrounds were well maintained. It came with everything I could have possibly needed including a first aid kit. Well done to you both, we will be back. The apartments were spacious, clean, comfortable and had everything you needed. Honestly such value for money. Would stay again in a heart beat. My Family and I absolutely loved everything about this place. It’s definitely “home away from home”. It’s close to shops, the strand, beach, the airport, has amazing people that run the place. You won’t be disappointed by staying here. We thank Col for his perfect hospitality and wouldn’t hesitate to stay here again. How welcoming Col was when we arrived to the property. The way the place was set up, it made it feel just like home, the extra features you wouldn't normally see in holiday apartments. The different variety of coffee and teas were a great touch. Col had thought of everything from different varieties of tea and coffee to having a night light in the bathroom for those midnight dashes to the toilet. 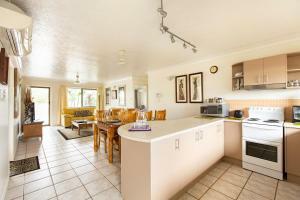 The place was immaculately clean and well appointed. Really a home away from home. Lock in a great price for Marcol Place Holiday Apartments – rated 9.8 by recent guests! 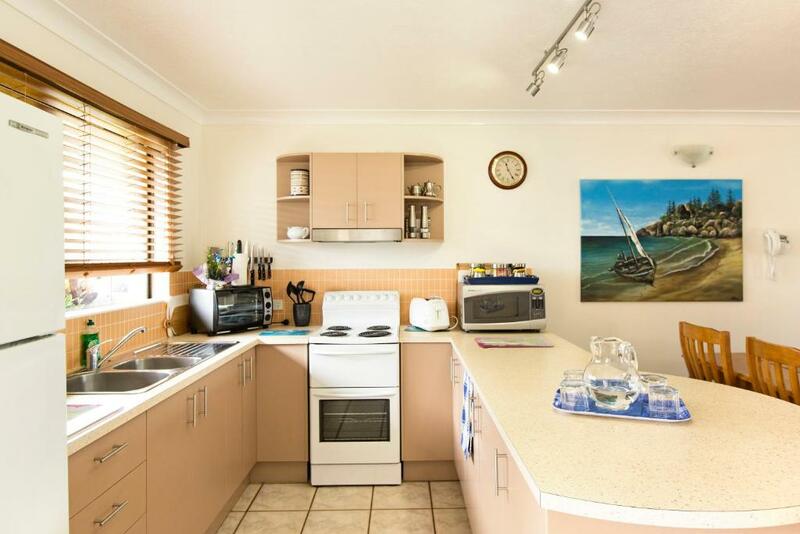 Marcol Place Holiday Apartments This rating is a reflection of how the property compares to the industry standard when it comes to price, facilities and services available. It's based on a self-evaluation by the property. Use this rating to help choose your stay! 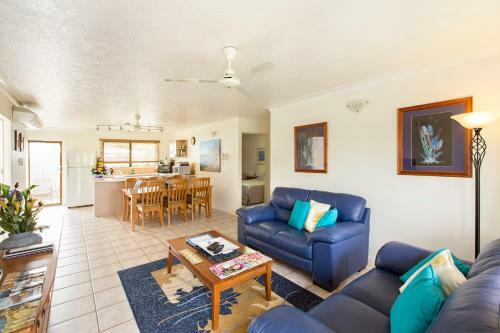 Barbecue facilities and a garden are featured at Marcol Place Holiday Apartments, which is set in Townsville, 3.1 mi away from Townsville 400 Racetrack Start / Finish line and 3.7 mi away from Reef HQ. The accommodations is 2.7 mi from the The Strand and features free WiFi. The 2-bedroom apartment comes with a kitchen with an oven and 1 bathroom with a shower. A flat-screen TV is provided. ReefHQ Aquarium is 3.1 mi from the apartment, while Magnetic Island Ferry terminal is 3.7 mi away. 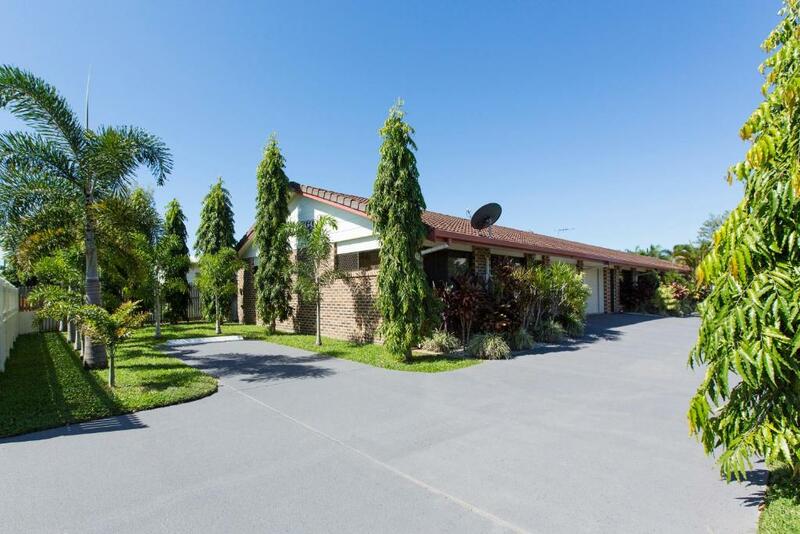 The nearest airport is Townsville Airport, 1.3 mi from Marcol Place Holiday Apartments. 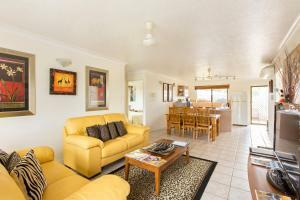 When would you like to stay at Marcol Place Holiday Apartments? We have four ground floor 2 bedroom fully appointed 100 square metre apartments with quality furnishings & white goods. A definite home away from home atmosphere, in a very quite no traffic noise area. Perfect for families and patients undergoing hospital treatment recovery prior to returning to regional & rural areas. Located in a quite no through Street with only 7 dwellings again perfect for trades people with parking & secure lock up garage to store equipment & supplies. We are so central & close to everything and our minimum stay is 3 nights due to our low price structure. This section of Hugh Street is a short no through section, has only 7 dwellings on the left side with parkland on the opposite right side. It is very quite due to being a no through area becoming safe and secure. 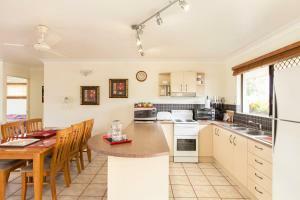 Just 1 km from the IGA shopping centre. Bus service around the corner to the city. major shopping centres, James Cook University and Townsville Hospital. Just 2 klm from Townsville Airport (no Noise) 3 klms to the Rock Pool, Strand and ocean swimming. House Rules Marcol Place Holiday Apartments takes special requests – add in the next step! Marcol Place Holiday Apartments accepts these cards and reserves the right to temporarily hold an amount prior to arrival. Please inform Marcol Place Holiday Apartments of your expected arrival time in advance. You can use the Special Requests box when booking, or contact the property directly using the contact details in your confirmation. That the rest of my family weren’t with us in the other units!!! It will be perfect for a whole family trip! 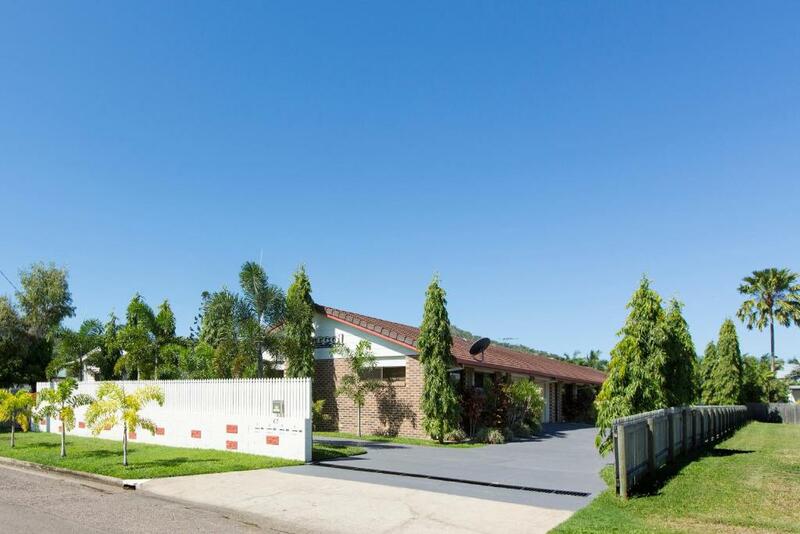 I didn’t like the cost per week as this property would normally be worth $250 per week if the Townsville flood had not happened, not $1050 that I paid. I feel the host is taking advantage of the situation but I suppose people will always get greedy when they get a chance. I also didn’t like the fact that even though I was paying $1050 per week, the hosts wife asked us to turn off the air con unit during the day when we weren’t there. If I’m paying a massive rent in the property then I’m entitled to run the air con 24/7. Everything was pretty great but if I could change anything it would be to have a set of lower/flatter pillows. All the pillows were too high/firm for my me. The only down side was that my very large car didn't fit into the garage. That is hardly the fault of the hosts and they did provide external parking areas. The garage is quite roomy and easily fits most cars. Extra comforts provided. Checked we had everything needed. The sandflies biting when sitting out the back, not something that can be controlled by the establishment though. Host was exceptionally helpful and friendly. Highly recommend this property. Wanted for nothing! The unit was spotless, with many extra touches to make our stay comfortable. Bed and pillows comfortable. Use of laundry appreciated. Bathroom clean, with good storage facilities. Kitchen had everything one needs for cooking meals. BBQ spotless. Lounge settee was good to relax on. Very quiet area, and reasonably close to major attractions, and shops.